H. PAUL JEFFERS has written over twenty books of fiction and nonfiction, including Commissioner Roosevelt and Colonel Roosevelt, both published by Wiley. Introduction: Table for One, Dinner for Twenty-five. The Earth for Fifty Cents. I Can Always Start Over. "Have You Got the Sauce?" "Why Spoil a Beautiful Friendship?" 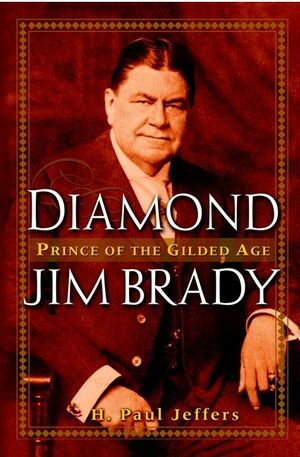 "Big, Genial Diamond Jim Brady."